Advanced engineering mathematics is a subject of its own, building up from simple notions of functions, series, integration techniques and brief review of linear algebra which leads to transform methods (Laplace, Fourier, Z and sometimes Hilbert), with strong emphasis of course on ODE and some elements of PDE and finally ends with complex variables and conformal mapping. With that I've just described the table of content of probably 99% of books out there on advanced engineering mathematics. Kreyszig, Zill, Stroud, Duffy et. al. falls squarely in this category. This is not to say such an approach is without value, in fact the standardization and consistency of a subject is probably a sign of very mature development of the field which is great for an introduction to engineering mathematics and provides great motivation for applied mathematics in general. But the lack of variation between these texts leaves me wonder if there is a book that covers material that is even more advanced, more comprehensive than what has been described above. For engineering students, it is often crucial to have motivation when it comes to studying a subject and such motivation usually comes from engineering examples (circuit theory, mechanical system, modeling) so an advanced text that is typically used and cherished by math majors just won't do. Can someone recommend a text that is most advanced or comprehensive when it comes to engineering mathematics covering topics that goes beyond the standard curriculum that could potentially be engaging for a mathematically mature engineering student who wish to know more about techniques used in mathematics for engineering applications? Please let me know if this is a bit too much to ask. I am unaware of standard mathematical texts for engineers at a level beyond that of the usual advanced engineering mathematics texts. Perhaps the closest thing in some sense might be Strang's classic Introduction to Applied Mathematics or his more recent Computational Science and Engineering. While the aforementioned books do overlap with typical advanced engineering mathematics, they also introduce new topics and insights, in particular revealing the ubiquity (or at least broad applicability) of linear algebra and its structures. My experience is that engineers tend to specialize and there is no one text at above-standard-advanced level to cover the main methods used in all domains. Springer does have a fairly recent Mathematical Engineering series that could be of interest, but many of the titles cover fairly narrow areas, fascinating as they are. There's also Chirikjian's Stochastic Models, Information Theory, and Lie Groups in two volumes, which could be interesting to engineers wanting to learn about stochastic processes and differential geometry, and might be a nice complement or lead-in to Arnold's Mathematical Methods of Classical Mechanics mentioned by Joseph O'Rourke in his answer. Not certain this satisfies your set of criteria, but... This is a challenging but wonderful book. 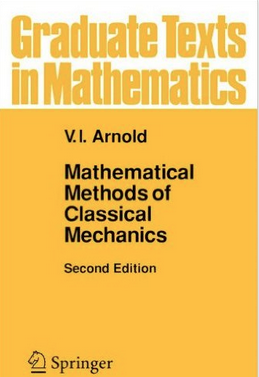 Arnold emphasizes the geometry of manifolds throughout: differential forms, Riemannian geometry, symplectic geometry, Lie groups and Lie algebras, dynamical systems, integrable systems. Here is an excerpt from Liviu Nicolaescu's review on Amazon: "If you are looking for an easy read, this is the wrong place. ... This book frees your imagination, and it forces you to ask yourself many questions, ... This book is as eloquent an argument on the depth and beauty of geometry as you could find anywhere." Geometric Methods and Applications for Computer Science and Engineering, by J. Gallier, does the job for what concerns classical differential geometry. Elasticity and Geometry by Audoly-Pomeau addresses a classical problem with many important applications with quite advanced math techniques. As for Linear Algebra, I'd like to mention Applied linear algebra by Olver-Shakiban. In this direction, however, it is quite different to draw a line between good mathematical texts with solid reference to applications and introductory books to numerical linear algebra. I had a course out of this book 23 years ago. If someone or some company had approached me (or I had known who to approach) to go into applied mathematics and then do the kinds of things in this book for them as a career, I might very well have followed a different career path than I did. I loved the stuff in this book (we only did about half of it in the one semester graduate course I took) and I was constantly amazed at how certain techniques were able to squeeze out so much information in situations you'd think were just hopeless. A lot of the exercises are old Putnam Exam problems also, not that it helped me any -- my Putnam days were over by then, such as it was. One of the things I remember from this book is that it's often easier to analyze asymptotic and qualitative behavior by directly working with a differential equation than with an integral or a series expression. I'm currently looking at Steinmann, Geometrical Foundations of Continuum Mechanics (Springer 'Lecture notes in Mathematics and Mechanics' series), as a way of making differential forms relevant and palatable to senior engineering undergraduates. Full texts on some of the topics in Kreyszig (PDEs, complex analysis, numberical analysis, linear algebra, ODEs) Note, I think K actually does a rather good job of covering these topics. (High bang for the buck.) But there are standalone books that are more encyclopedic in terms of methods. This is even without getting into books that are super rigorous or that go deeply theoretical. Just more computational content. Some are quite good, with lots of problems and answers. In addition to PDEs and complex analysis, there are whole long good books on numeric analysis (including by Hamming). Some of these even have programs or discs. A good primer on Calculus of Variations: there are a few that come up as most popular on Amazon. Stick to the easier ones. K doesn't cover it. Arfken (as usual) does a bad job of covering it. Whitacker and Watson second half has a decent set of chapters on special functions. Some content above what you get in K. Also has a section on Mathieu functions. Some specialized texts on diffy Qs: Ince ODE and Forsyth Treatise of DE and Theory of DE (6 volumes). These have some theoretical aspects but are really mostly in the realm of engineers who want to solve equations. Not Fraktur letter craziness and Sobolov spaces. Joseph Edwards 1000 page (!) text on Integral Calculus. Full of Cambridge math problems and tricky integrals. Sort of like having a handbook with problems. More tricks than in a normal course like Thomas or Granville or the like. -Probability and statistics is a whole wide field from intro courses to all kinds of applied statistics and design of experiments. The book by Box, Hunter, Hunter is a great one for DOE. -Operations research (search problems, queuing, etc.) Emphasize a text that is practical and from an industrial engineer perspective or military operations. Not super theoretical. -Group theory. Some math guy will say entire topic of abstract algebra but that is way overkill for a technical guy and maybe even unpleasant. stick to a course or text on group theory for physics or chemistry. Not the answer you're looking for? Browse other questions tagged reference-request engineering-mathematics or ask your own question.